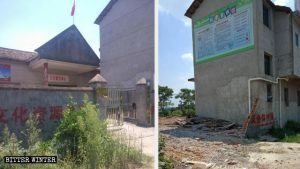 Bitter Winter has previously reported about numerous Buddhist temples in Hubei Province being demolished and shut down. 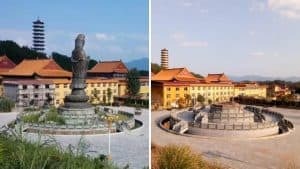 Recently, the authorities also closed down two highly revered temples in Huangshi city – Dragon King Temple and Dragon Spring Temple. 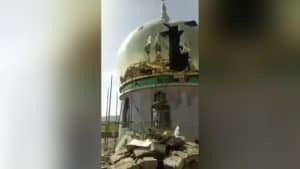 Multiple internal documents confirm now that the crackdown on Buddhist temples and the demolition of outdoor Buddha statues taking place across the country is a nationwide policy. 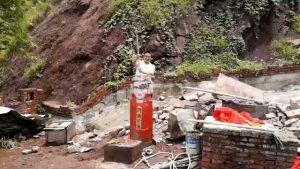 Several tourist areas in Henan and Shaanxi have already born the brunt of it as the local Buddha statues have been torn down across entire regions. 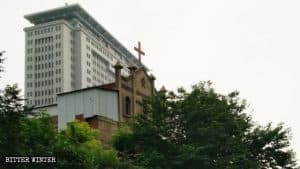 The Communist Party’s campaign disguised as the policy to regulate the “commercialization” of Buddhist and Taoist sites is carried out not only in complete disregard to believers, but it also affects the livelihood of local people who work there. Since temples and Buddha statues attract large numbers of pilgrims and tourists, this creates a stable income for them to support their families. Recently, a video went viral that showed residents of a scenic location in China seeking work. However, the authorities continue to turn a deaf ear to these concerns. 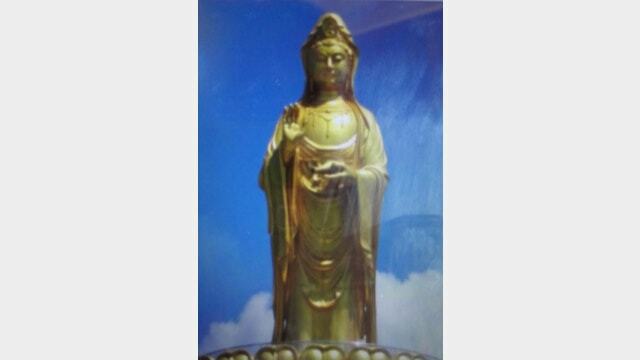 The original appearance of the Guanyin statue on Santai Mountain. While countless Buddhist statues have been demolished in recent months, the Guanyin statue in Hubei was perhaps the costliest one so far. 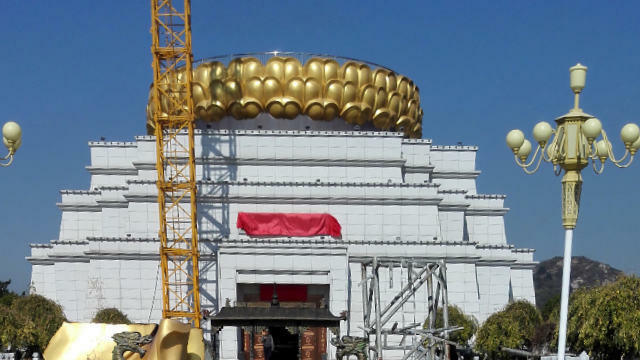 Installed at the Santai Mountain Temple Tourist Area in Wuhan city’s Huangpi district, the gold-plated statue was found cut in pieces in late October. 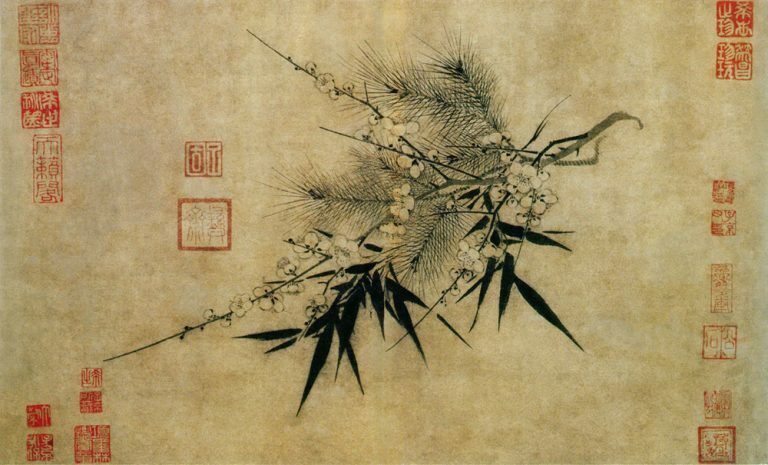 It had cost nearly ten million RMB or 1,500,000 USD to build. 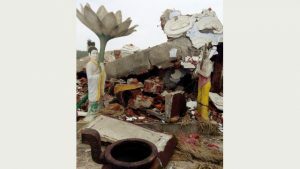 Only the lotus base remains after the Guanyin statue was demolished. ﻿ The statue had been built with permissions from the local district government and the tourist area project was a big one for them. However, in August, a notice was issued that the statue must be torn down as per directives from the central government. 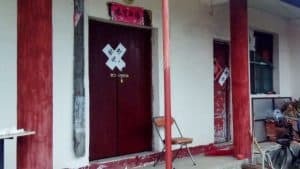 If the local officials failed to achieve the demolition, the notice warned that at least 12 of them would lose their jobs. And in order to protect their jobs, they carried on with the destruction.